Welcome to Authors Dish where your favorite authors will share what they are reading. In addition, if you enjoy reading their books they have suggestions for similar book adventures by other authors. It doesn’t get better than that! This post will run regularly on Fridays so sit back and take notes…these authors have a lot to share. Today in the cafe are Cathy Maxwell, Samantha Chase and Jeanne Adams. Cathy Maxwell: BEARD SCIENCE (Winston Bros. #3) by Penny Reid. Oh, and Lorraine Heath’s latest BEYOND SCANDAL AND DESIRE. Yes, I read two books at a time if they are different subgenres. Samantha Chase: I have been on a Sawyer Bennett kick – her Cold Fury series is awesome!! Cathy Maxwell: That is a tough one because there are many writer who are so wonderful, I am embarrassed to compare myself to them. However, authors who inspire me are Lorraine Heath, Sherry Thomas, Cheryl Etchison, Anne Elizabeth, Sabrina Jeffries, Elizabeth Hoyt, Karen Robards, Nora, Georgette hayer, Kristan Higgins. Of course, Lavryle Spencer and Sherry Thomas and, and, and. There are brilliant books out there. Isn’t it a joy to be a reader? Especially one who loves a happy ending? Rae: Thank you so much authors! Let me know dear readers if you try any of these books. I’ll see you next week – sae time for new authors and more fun! Rae: Thanks so much for hanging out with me today. First, if we were meeting at a coffee shop I’d be drinking an spiced Latte with Coconut Milk with chocolate drizzle, what would you order? Cathy: Just coffee with room for cream and stevia. Cathy: Not even close. This is my 33rd book. I’ve written a few novellas but 41 is still a high number. I hope to reach it someday, but I’m not there yet. Rae: If Ever I Should Love You. It released on December 26th and I must thank you, it was my favorite birthday present 😉 I rarely have books released on my birthday! What was the inspiration for this new book adventure? Cathy: Happy birthday to you! This is lovely, Rae. The inspiration for this new series was something my husband used to say: You can marry money but you can’t live with it. I know, I know, it doesn’t make complete sense . . . unless one is in an upside down relationship. Money can be a great tool for climbing a social ladder or it can destroy a person’s character. In IF EVER I SHOULD LOVE YOU, I’m using money has a tool to bring two people who were truth destined to be together. Rae: The last time we sat down it was always during games at RT in Atlanta. I am fascinated in your career, you began in broadcasting and then worked in Naval Intelligence. How does one then make the leap writing Historical Romance? Cathy: I always knew that I would someday write a book. Back when I was a news broadcaster, I found myself frustrated by the trajectory of my career. Mind you, this was back in the day when women were struggling to be taken seriously in broadcasting. I saw my career ahead of me—I’d move up to Wichita, then Omaha, then maybe St. Joe, and by that time I’d be thirty and my on-air career would be over. Furthermore, I found reading the news dissatisfying. It is a bit like telling people bedtime stories. At the time, I was working for a small satellite station where on top of all of the reporting duties I also wrote advertising, did the billing, and vacuumed. It doesn’t sound glamorous but it was great. I had complete control as long as I stayed under budget. However, I didn’t know if I wanted to move up. So, I made a list of the twenty-five things I wanted to do with my life. Travel was on there. Writing a book was another item. And I wanted to join the Navy. I can’t remember much else because I set into motion the travel and joining the military. I have no regrets. It was a grand adventure. Writing a book was trickier. I had no idea what I wanted to write—until I read my first romance novel. FIERCE EDEN by Jennifer Blake captured my imagination and here I am today. Rae: Your backlist is impressive and inspiring with multiple series and standalone reads, what can we expect in 2018? Will there be more books from current series, or new ones in the works? That being said, how do you keep all of your worlds and characters from crossing over? Cathy: Right now, the plan is for all the three books in the “Spinster Heiresses” series to be released in 2018. I do have a loose bible of what I want to have happen over the course of the series. More importantly, I have a huge imagination full of people who are alive in my mind. I keep track of them as easily as I maintain tabs on any of my loving friends. Rae: As a reader who appreciates a well crafted book cover, are you active in the creative design process? They are stunning. Cathy: Thank you! All credit goes to the excellent Avon Books Art Director. Rae: I read that you love horses, do you ride daily? I hear the experience can be very therapeutic. Cathy: I adore horses. Unfortunately, when I moved to Texas, I left my beautiful Dinero behind. It didn’t seem right to move him from where he is happiest. He is a sensitive soul. My trainer purchased him and they are heading for the show ring, something I had no desire to do or the talent for it. Still, I love them. I’m now content to donate to area equine rescues. Cathy: No, nada. With me, it is go for it and hope it makes sense when I’m done. Rae: Can you tell us how you tackle plotting your series? Is it on a massive board, sheets of paper or just write as you go with a simple outline? Cathy: Most of the story is in my head. I do prepare a bible of sorts so I understand the themes I want to cover but the details of each book are always evolving. I yank stuff that displeases me out with wild abandon. Cathy: Book two of the Spinster Heiresses series A MATCH MADE IN BED will be released April 26. Look for THE DUKE THAT I MARRY along towards the end of 2018. 1. What is a must read book and why? I don’t have one. I have zillions! I just made my Romance Book Club read TIGER’S EYE by Karen Robards. 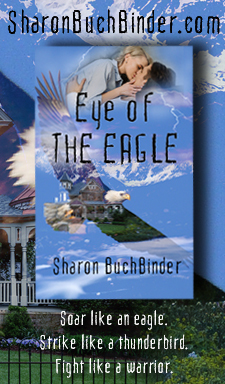 That book has everything—sweeping romance, a outlaw hero, a betrayed heroine. Just big and grand reading. 2. What is one place that I should see if I visit your hometown? Summer Moon Coffee Shop. 3. Do you take-in or cook? If so, what is your “go-to” dish? I cook. I’m crazy about a vegetarian chili. I’m also a fan of greens and mustard vinaigrette with fried eggs. 4. What is one thing readers would be surprised to know about you? That I can be introverted. 5. Hard Rock or Classical? Favorite Band or Artist? All of them. I’m eclectic. 6. If you had an all expenses paid trip anywhere in the world for research, where would you go? France and Germany. And the research would be about readers. European markets are opening for Romance in a big way and I’d like to spend time meeting readers. 7. What is your guilty pleasure? Zumba!!!!!!! 8. What are you afraid of? Something bad happening to people I love. 9. Tats or No Tats? If tats, how many and what did you choose for your first one? No tats. I’m a true rebel. 10. Organized or Free Floating? What a mess! 11. Binge watcher or weekly viewer? Which show(s)? Binge. Right now, Big Love and The Marvelous Mrs. Maisel. 12. What’s on your playlist? Everything. Classical, blues, bluegrass, rock, reggatone, rap, alternative, jazz. You name it; I’ve got it. 14. Are you a crafter? No. 15. What’s your favorite TV show and why? I binge, see above. 16. If you could pick a book you’ve read and make it into a movie, which book would it be (besides yours 🙂 )? I’m thinking the Beard Science would be a good one. 17. What’s your favorite movie of all time and why? Waking Ned Devine. Such wonderful characters and good humor. Every time I make a chicken dinner, I think of that movie. 18. Would you rather see a movie in the theater or at home on DVD and why? Home because it had better be an excellent movie for me to watch it in a theater. Yes, I’m one of those people who gets antsy if the movie is mediocre. I want to rewrite it. 19. What is the one thing you can’t live without? My computer. It is my lifeline to the world. 20. If you could invite 5 people to dinner (not friends and family – that’s too easy) who would be at your table? Where would you eat? Brazilian chef Alex Atala, Senator Elizabeth Warren, Poet Naomi Shihab Nye, Behaviorist Dan Ariely, and Pope Francis. There is a great food truck here in Austin that serves barbeque and homemade tortillas. We’ll eat there. 22. Person you admire and why? There are so many . . . but let me choose Merline Lovelace who had a stellar career in the Air Force during some turbulent years for women in the armed forces and has gone on to a wonderful writing career. She lives life to the fullest with grace and laughter. Rae: Thanks again for hanging out in the cafe today! Time for another spiced latte 🙂 Thank you! It has been fun.